●Description: Line pipe is the abbreviation of pipeline steel pipe that used for conveying oil, product oil, natural gas and water in the oil and gas industry. The pipelines, transporting oil, gas, mainly divided into the main transmission pipeline, regional transportation pipeline and the urban pipeline 3 kinds. Usually, the main transmission pipeline specifications is for ∮406～1219mm,wall thickness for 10～25mm,steel grade for X42～X80,the regional transportation pipeline and the urban pipeline usually specifications is for ∮114～700mm,wall thickness for 6～20mm,steel grade for X42～X80. In addition, according to the manufacture process and the tube bloom used different shapes, the line pipe can be divided into seamless steel pipe and welded steel pipe, among the usage quantity of welded steel pipe is more than seamless steel pipe. Line pipe steel grade from low to high is divided into: A25、A、B、X42、X46、X52、X60、X65、X70 and X80. ●Standards: API SPEC 5L, ISO3183, GB/T 9711, GB/T1711.2. ●Materials: Q235, 20#, L245B, ASTM A106B, ASTM A53B. 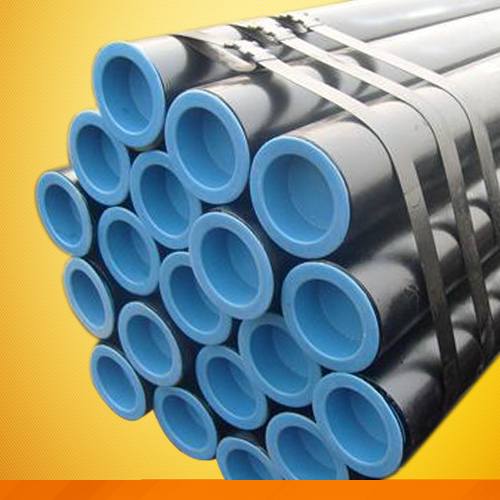 ●Description: A pipe is a tubular section or hollow cylinder, usually but not necessarily of circular cross-section, used mainly to convey substances which can flow — liquids and gases (fluids), slurries, powders, masses of small solids. It can also be used for structural applications; hollow pipe is far stiffer per unit weight than solid members. ●Materials: Q345,10#, 20#, ASTM A106, ASTM A53. ●Description: Structural Steel Pipe is a welded steel tube with a internal weld seam that is measured in nominal size unlike DOM or Welded Round Tube. A500 Steel Pipe is a economical structural grade pipe with a smooth bare finish that has slighter higher mechanical properties than standard pipe. Our A53 sch 80 Steel Pipe is a tested pipe that can be used for structural or pressure applications and may have a black coated finish. ●Description: The Boiler Tubes we offer are generally utilized in heating, power-generating and ventilation industry. These tubes are a portion of tubing peripherals of utility and industrial boilers. We also provide customized products according to customer's requirement. ●Description: Casing and tubing strings are the main parts of the well construction. All wells drilled for the purpose of oil or gas production (or injecting materials into underground formations) must be cased with material with sufficient strength and functionality. ●Standards: API SPEC 5CT, API SPEC 5B, ISO11960.